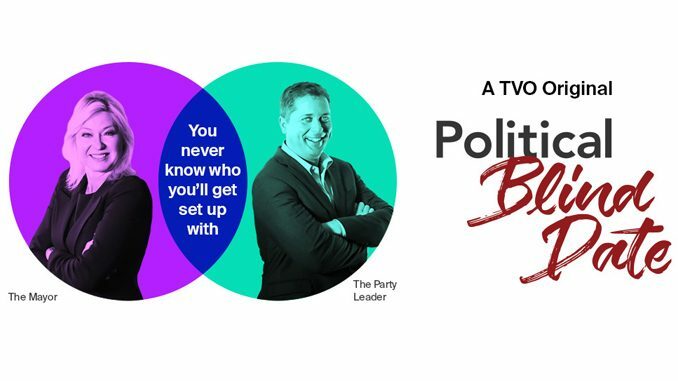 TVO announced Thursday that its popular documentary series Political Blind Date will return for a second season on Thursday, February 14, 2019. Each weekly half-hour installment of the six-part series will bring together politicians with different points-of-view together on a “date” to bring to life different perspectives on important Canadian issues. 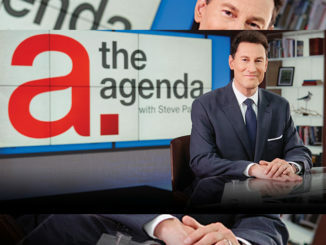 Feb. 14: Guns in Canada – Marco Mendicino, Liberal MP and former Crown Prosecutor from Toronto, squares off with Glen Motz, Conservative MP and former Police Chief from Medicine Hat, Alberta, about Canada’s relationship with guns. Does Bill-C71 infringe on the rights of law-abiding gun owners, and will it stop the use of illegal guns? Feb. 21: The urban-rural divide – Bonnie Crombie, Mayor of Mississauga, Ontario and former Liberal MP, sets out with Andrew Scheer, Conservative Party Leader, from Regina-Qu’Appelle, Saskatchewan, to see who should receive more government attention and support, populous cities or the rural communities that feed them? Feb: 28: Taxes – Lisa Raitt, Conservative MP and Deputy Party Leader, Milton, Ontario and Wayne Easter, Liberal MP and Chair of the Finance Committee, from Malpeque, Prince Edward Island, pair together to debate whether the Liberal Government taxation policy is working. Is it true Liberals spend while Conservatives make budget cuts? March 7: Improving Indigenous communities – Romeo Saganash, a Cree NDP MP from Abitibi-James Bay-Nunavik-Eeyou (Quebec) and Don Rusnak, an Ojibway Liberal MP from Thunder Bay-Rainy River, Ontario, uncover differing approaches on how best to improve Indigenous communities in Canada. Is the Liberal Government living up to its promises about a new partnership with Indigenous Peoples? March 14: Opportunities for newcomers – Jenny Kwan, NDP MP, Vancouver East, British Columbia, (and immigrant to Canada at the age of 9), and Gary Anandasangaree, Liberal MP, Scarborough-Rouge Park, Toronto, (and Tamil refugee from Sri Lanka), explore whether the promise of acceptance and opportunity are equitable for everyone who arrives in Canada, no matter their status or origin. March 21: Asylum seekers – Pierre Paul-Hus, Conservative MP from Charlesbourg-Haute-Saint-Charles, Quebec City, and Rob Oliphant, Liberal MP and Chair of the Immigration Committee, from Don Valley West, Toronto, travel to the U.S. border to see how irregular immigrants are welcomed into Canada. Political Blind Date airs Thursdays at 9:00 p.m. 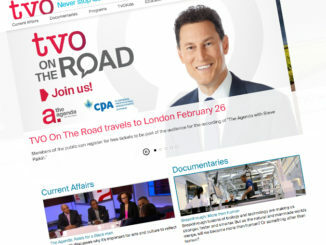 ET on TVO and online at tvo.org/politicalblinddate.